With this you'll be able to get into a part of Uldum. 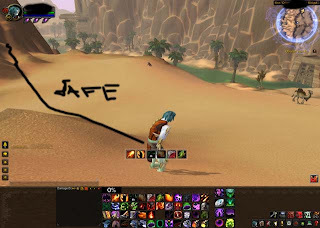 It is close enough to pull camels and other mobs. 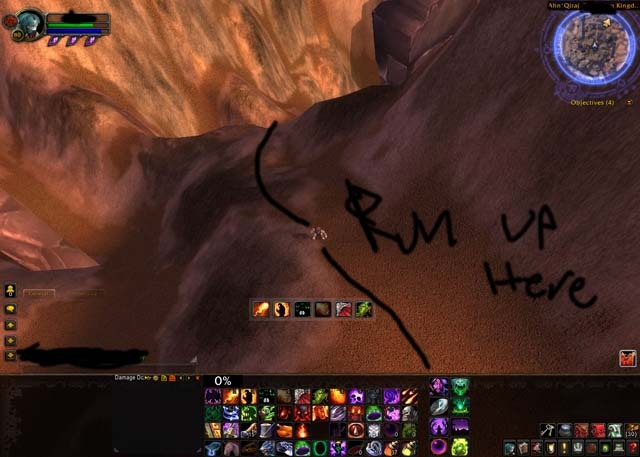 You wont need a priest of any special gear or anything. Completely solo! 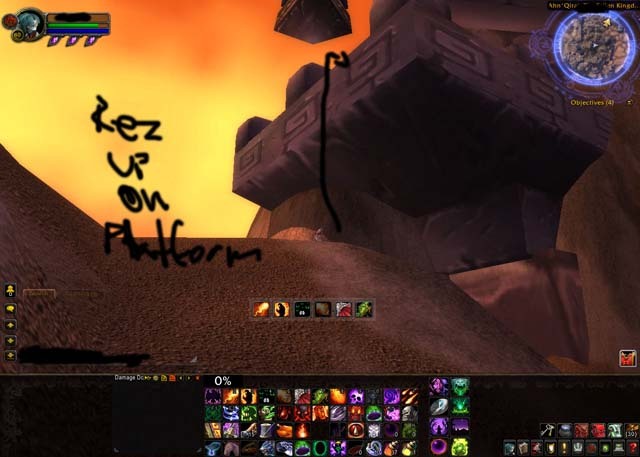 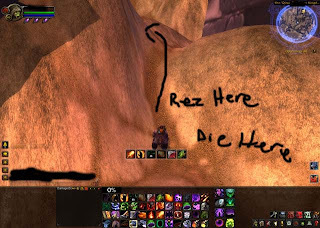 2) With your ghost mount fly to your body and then rez / land at this spot next. NOTE: This ghost mount isn't like the winterspring mount and has close to 0seconds debuff. 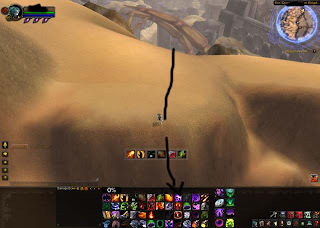 3) This spot seems like you'll slide off, but you don't. 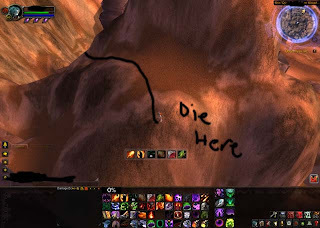 From that spot you can run to the last death spot! 4)You can now get on this building. 5) Now you're where you need to be. 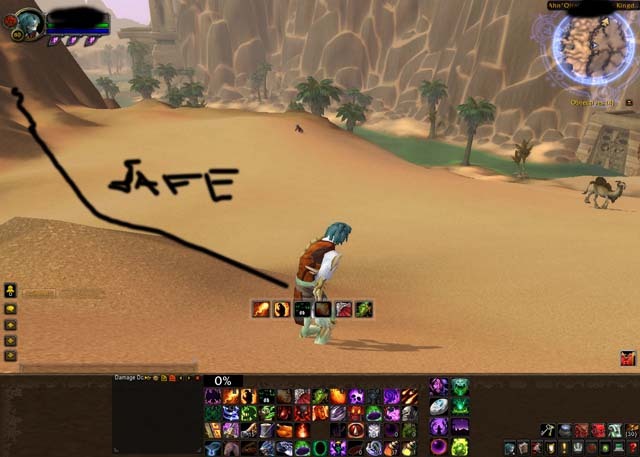 Follow along here sticking close to AQ don't be silly and so cautious that you fall off the cliff into AQ, you CAN stay on the sand. 6) Now you need to be here... and then you can run down the cliff. 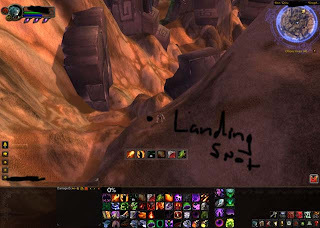 5) This is the spot. 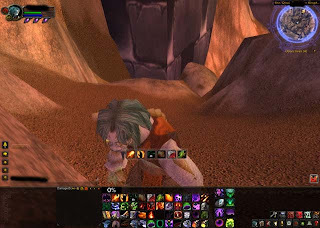 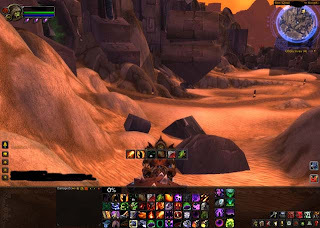 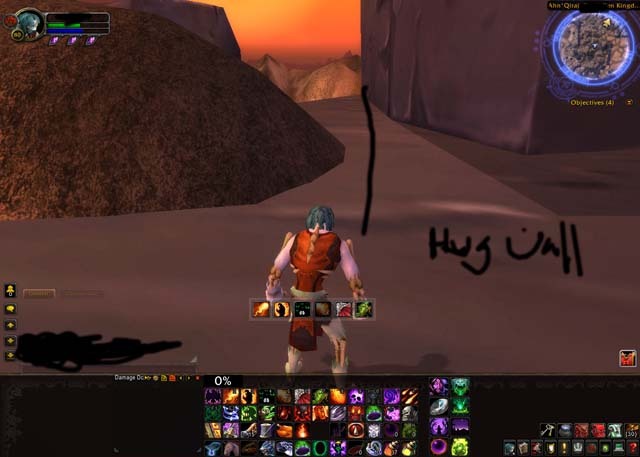 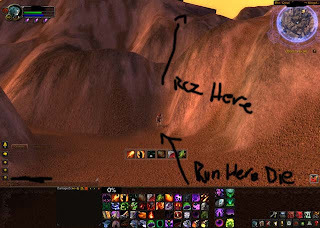 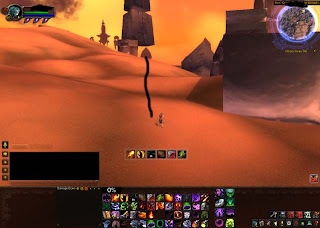 Use eye of kilrogg, lock/hunter pet, rockin racer or what other techniques available to judge zone boundaries and to see how close you can get to mobs.If you were to step too far it will take you to No Man's Land. 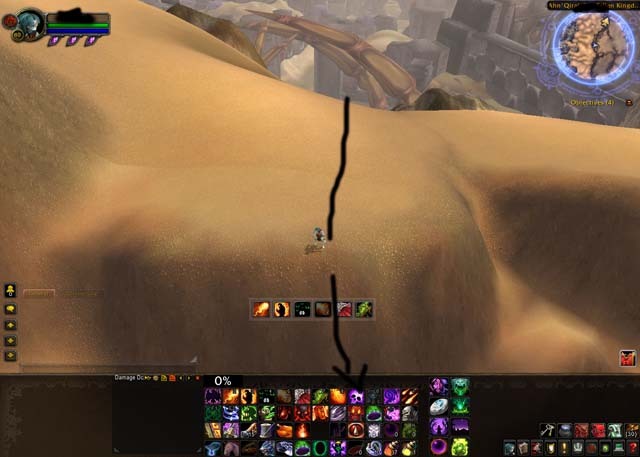 As a lock I can pull 4 Pygmys and about 6 Camels using my imp. 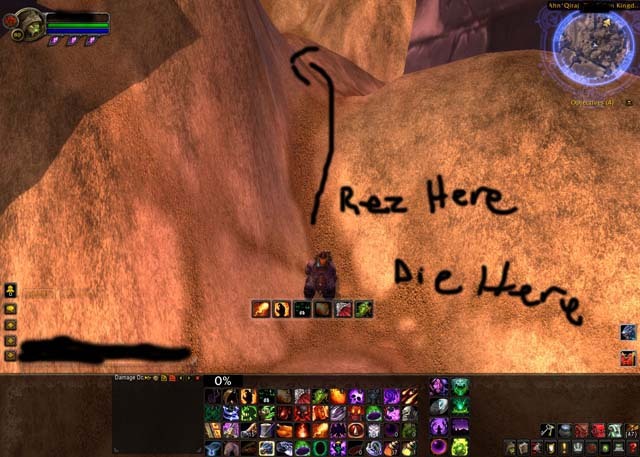 You can step just over the hill at the end of the line... but be careful. 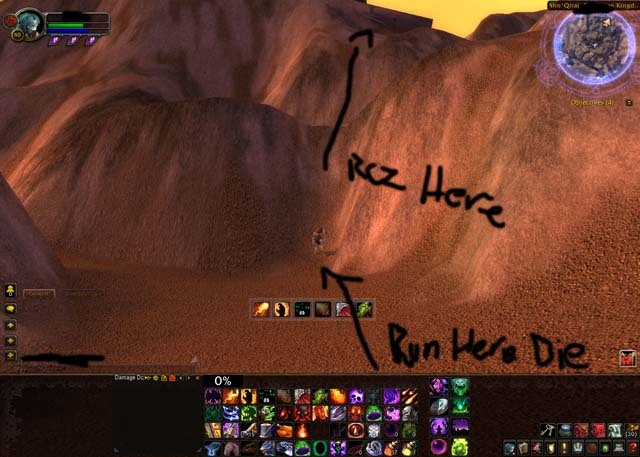 Like I said if you have any method for discovering zone boundaries other than going over it yourself, use it!